Adore A La Muerte basically translated means 'Love you til death'. 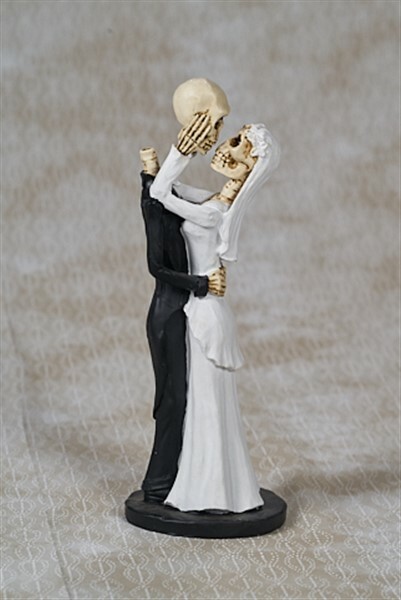 This fun skeleton wedding couple is unique and perfect for those who love Halloween, Dia de los Muertos, and All Hallow's Eve. Set out to celebrate these special days or for a wedding topper, gift or decor.